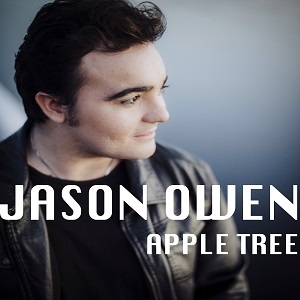 Following on from the successful “Jason Owen Sings John Denver Tour”, Jason now prepares to release ‘Apple Tree’, his first original tune in almost two years. Written by Cousin Matthew Young the new track is a tender tale of promised love. While Jason has loved performing the songs of the country music legend for the better part of the last year, the 2012 X Factor runner-up is eager to once again release original work. When asked about the upcoming release Jason says, ‘I'm pumped to be releasing my first original song in over a year and a half. I'm excited about my new feel with ‘Apple Tree’ as I believe it’s time for a slight change from what I have released in the past six years. I really hope that everyone enjoys the slightly new feel with the single ‘Apple Tree’. The “Jason Owen Sings John Denver Tour” has criss-crossed New South Wales culminating in three shows next month – Temora, Dubbo & Newcastle. With special guests including Gretta Ziller, Dani Young, Angus Gill and Jasmine Atkins, Jason has performed the much-loved tracks from his June 2017 release, “Jason Owen Sings John Denver - The 20th Anniversary”. Born and bred in the small town of Albert 150km west of Dubbo NSW, Jason was raised to the tune of classic country artists. After being launched onto the Australian music scene following his time on The X Factor in 2012, Jason has continued to grow into a genuine country artist. A national tour with country music darling Amber Lawrence, a 2014 CMAA Golden Guitar finalist placement for ‘Top Selling Album Of The Year’, nine hit singles including ‘Run’ (the 5th highest song on country radio throughout 2015) and a ‘Male Artist Of The Year' nomination at the 2017 Country Music Channel Awards have cemented his growing reach in the industry he loves.